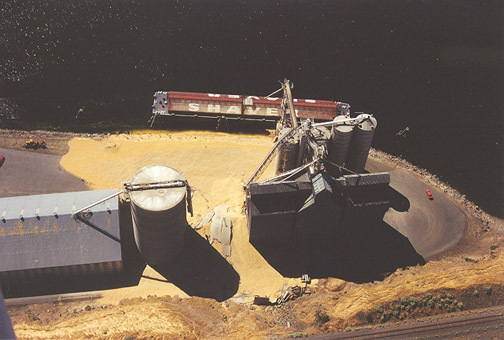 A few years ago one of the Grain Bins at the Almota Elevator Company's Snake River facility collapsed, leaving a huge mess of grain. My Grandpa, Bill, took these photos from his plane. That is a barge that says "SHAVER" on it. 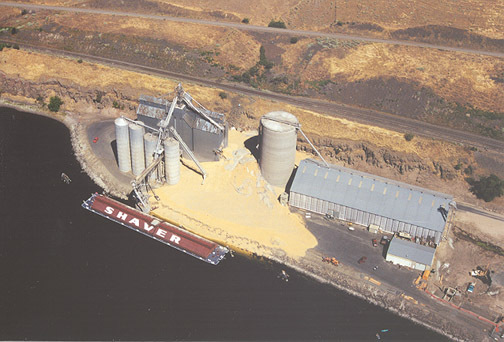 Barges are the primary mode of transport for the wheat grown in the Palouse Region. 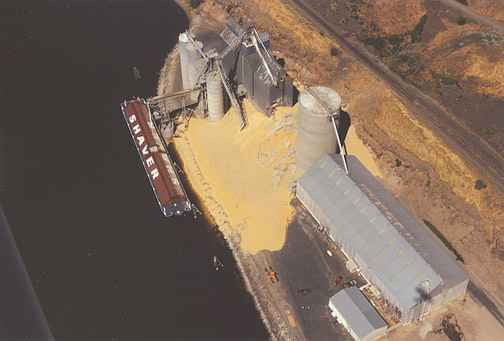 One barge hualing grain down the Snake and Columbia Rivers replaces approximately 100 semi trucks that would otherwise be on our roads. 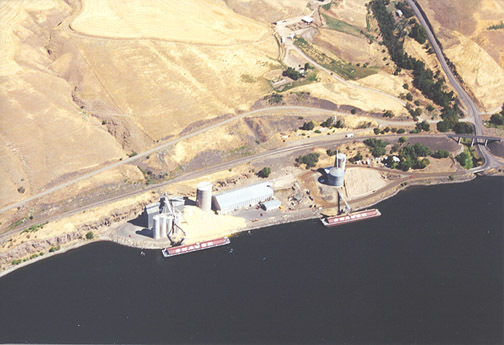 That is why the dams along the Snake and Columbia Rivers are so important, without them, these barges would not be able to navigate their way down river. 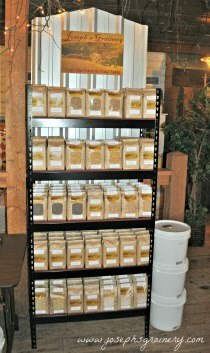 Imagine an avalanche of wheat...that's what this was!